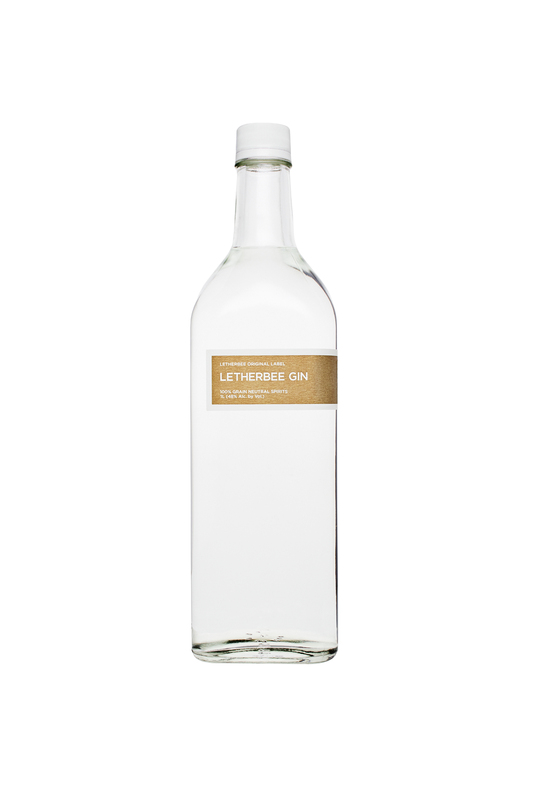 Letherbee Distillers | Coeur Wine Co.
From its origins in Holland, the botanicals used in gin have all been thought to provide therapeutic properties, treating everything from stress headaches to spiritual afflictions. Juniper, sage, angelica, and citrus were holistic sources of healing prior to our modern age. Approximately 6,000 miles across the globe in Central and South America, palo santo, translating literally to “holy wood,” has been a holistic healing tool whose popularity has spread globally for its relaxing and enchanting fragrance. Palo santo is a distant relative to other sacred aromatics, such as frankincense and myrrh. Thought to be powerfully cleansing, this sweet-smelling wood has a uniquely calming aroma, ranging from notes of citrus to burnt sugar, mint and cedar. 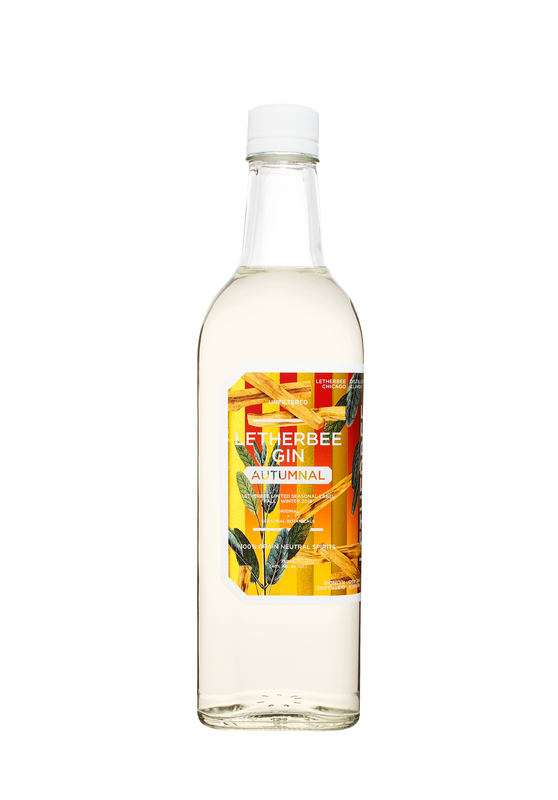 For our 2018 Autumnal Gin, we have chosen to highlight sage, or salvia, meaning “savior”, with the holiest of woods. We harvested fresh garden sage and steeped it with the smoke from burned palo santo to create the core flavors for this spirit. Earthy sage and sweet, musky palo santo come together in a richly aromatic union. It is a marriage that tastes so natural, it feels like divine intervention. 96 Proof. Approx. 260 cs produced. 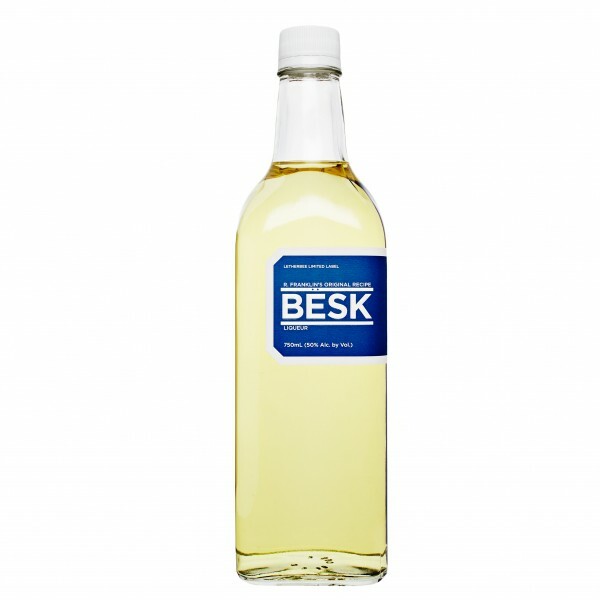 Letherbee unites with R. Franklin for a refined rendition of BËSK (“bitter” in Swedish) —a relatively obscure Swedish liqueur dominated by wormwood which has taken on a cult status in Chicago (most notably from Jeppson’s Malört). 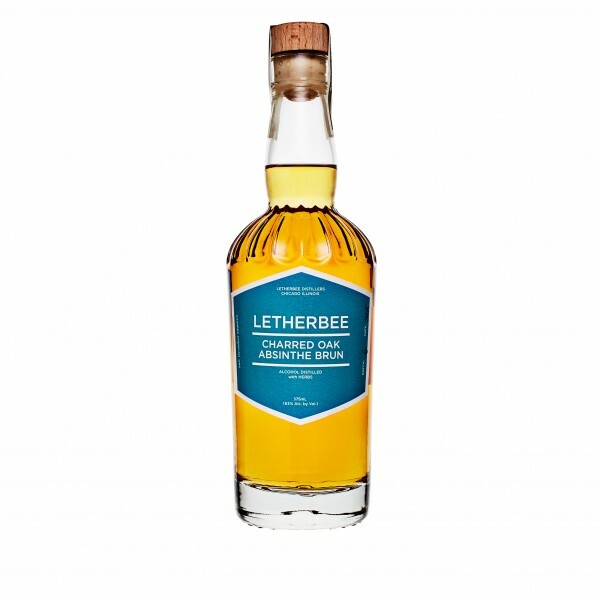 The violently bitter shot initially hits with flavors of grapefruit before an onslaught of wormwood alongside earthy gentian root — an effect that lingers on the palate for quite a surprising while. 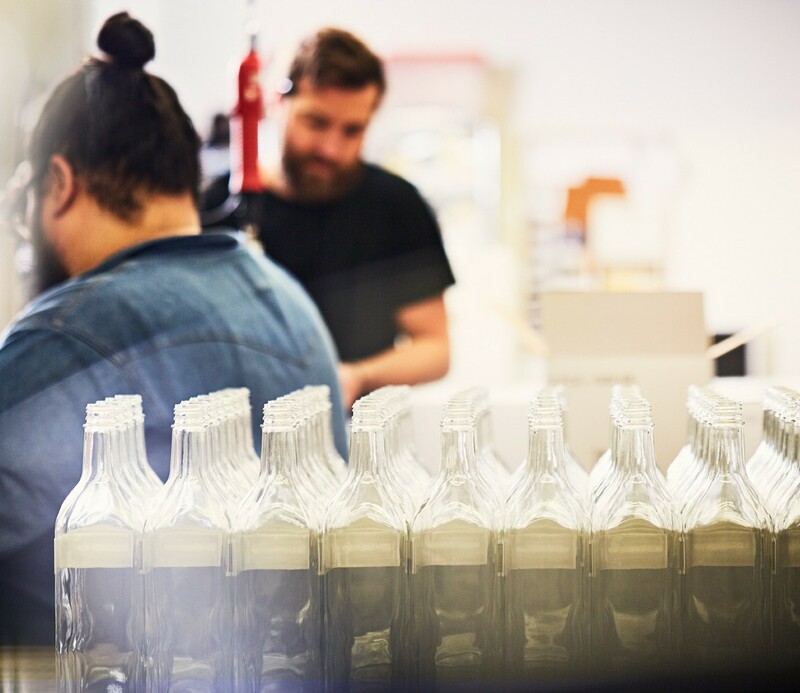 Beneath the initial bitterness rests more gentle traces of juniper, star anise, and elderflower musk. 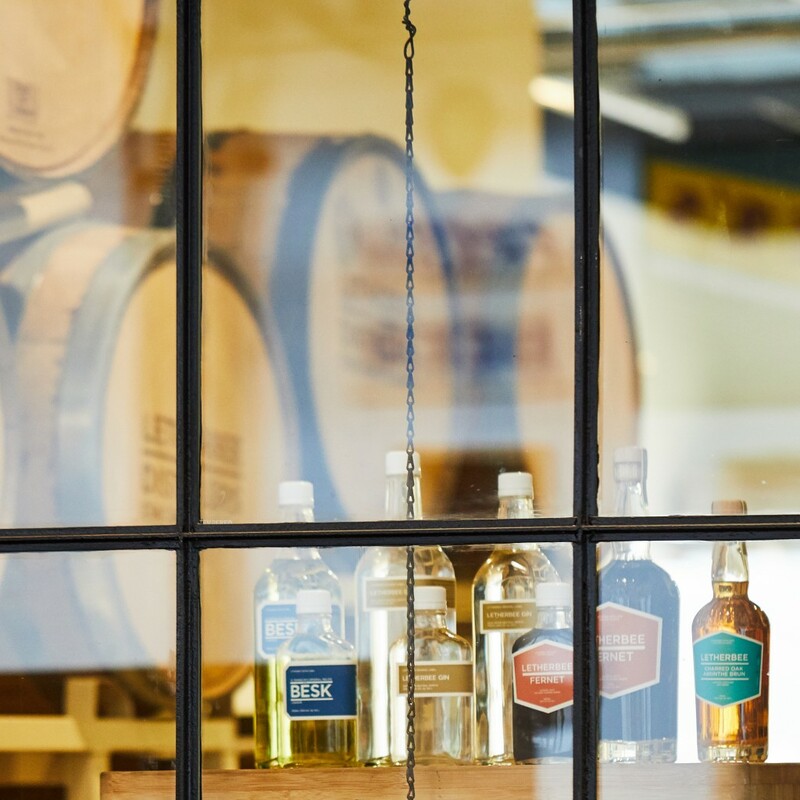 Bottled at 100 proof. 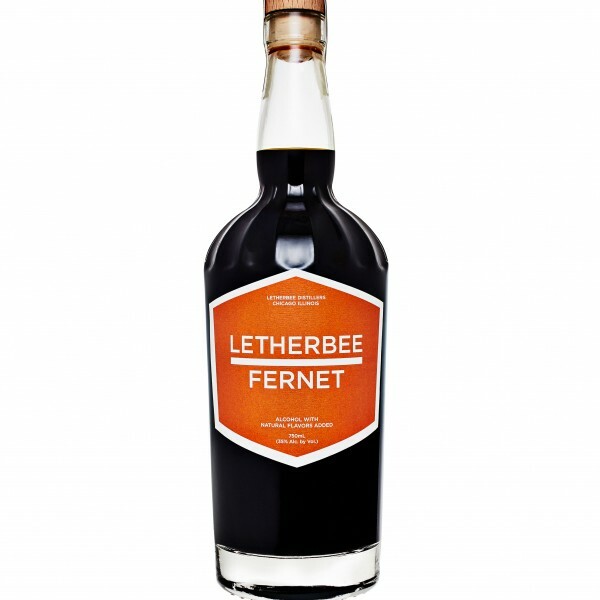 Letherbee’s Barrel-Aged Absinthe draws its caramel hue from a six-month stint in unused, charred-oak casks (53 gallon). 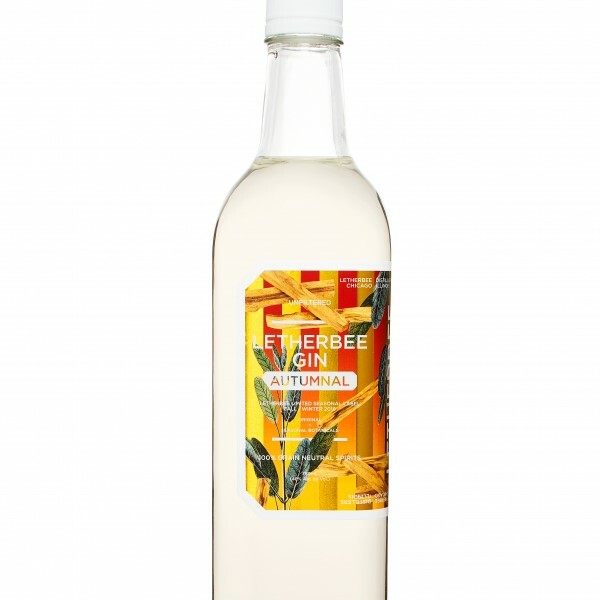 A classic white absinthe (anise seed, fennel, wormwood with a neutral grain base) recipe mellows in the aging process, softening the anise notes to let sumptuous floral and spice layers resonate. 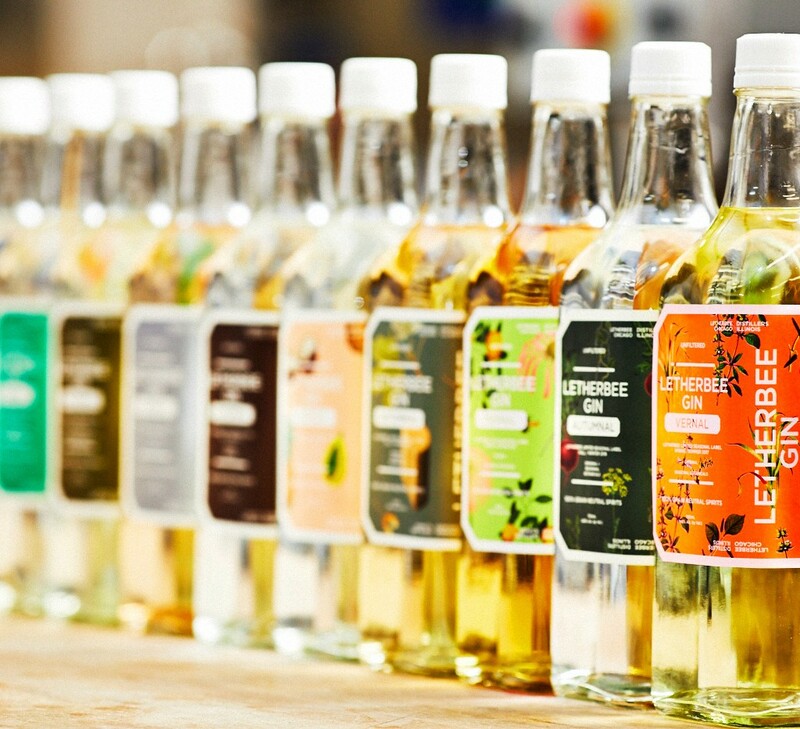 Besides the color, the full-sized barrels also imbue the Absinthe Brun with toasty hints of vanilla and caramel. 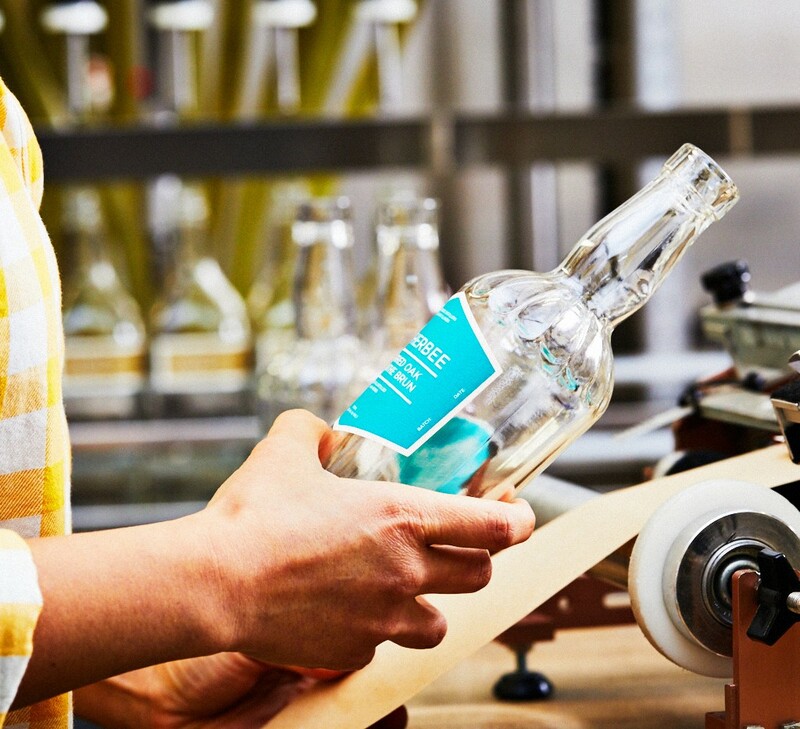 Bottled at 126 proof, the spirit-forward drink is an addictive sipper that can also add depth to a variety of cocktails. 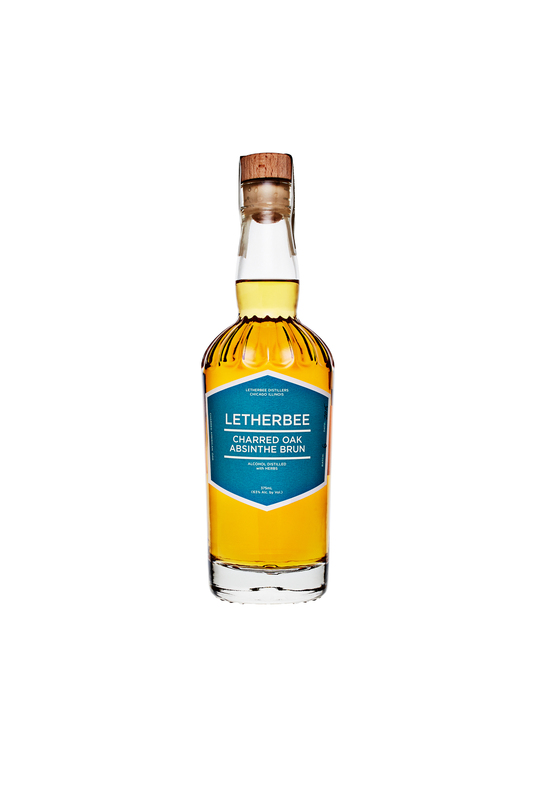 Letherbee’s freshly refined take on the signature digestif is smooth, perhaps startlingly so. 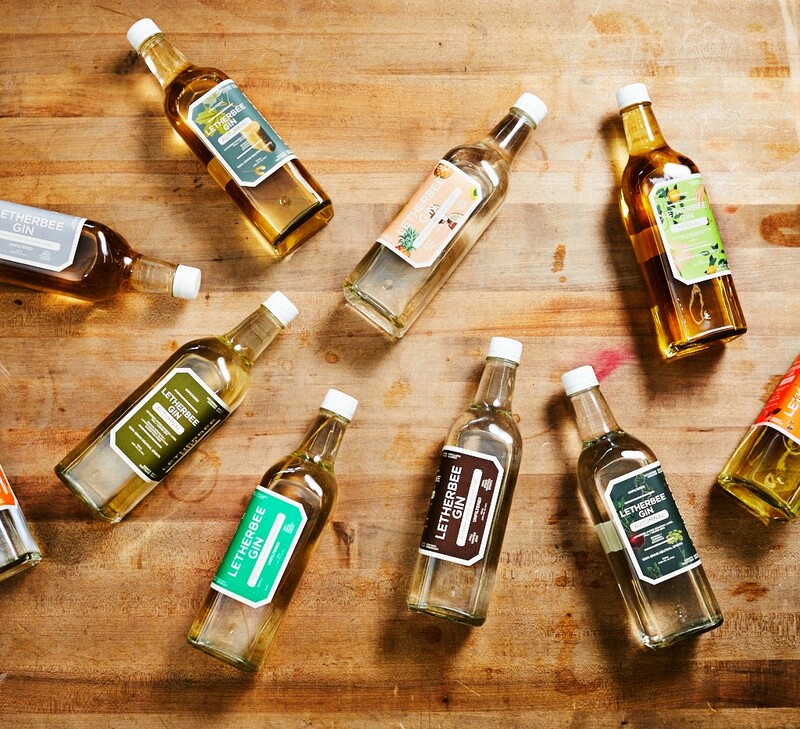 The prominence of saffron evokes popular Fernets, but supporting notes of rhubarb root and myrrh gum scaffold the palate as to not let bitter notes overpower. Spearmint and eucalyptus lend a subtle, pleasant mentholated finish. 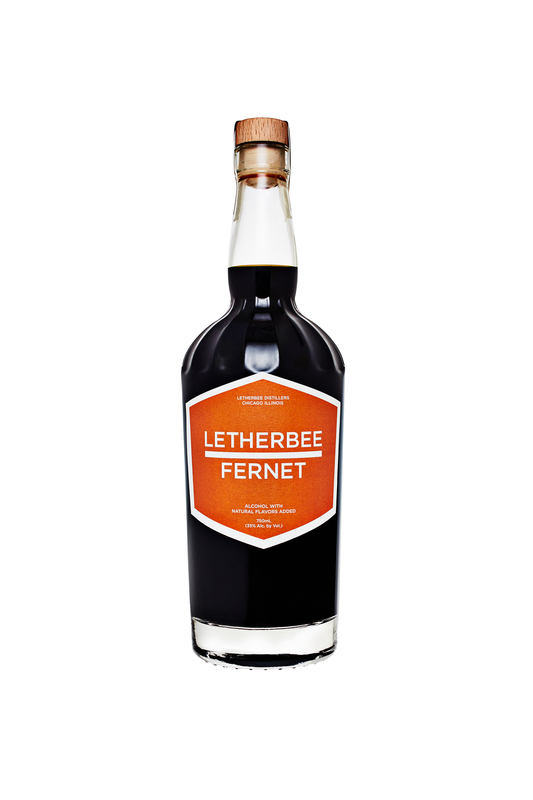 Given Letherbee’s penchant for balanced flavors, this Fernet is versatile. 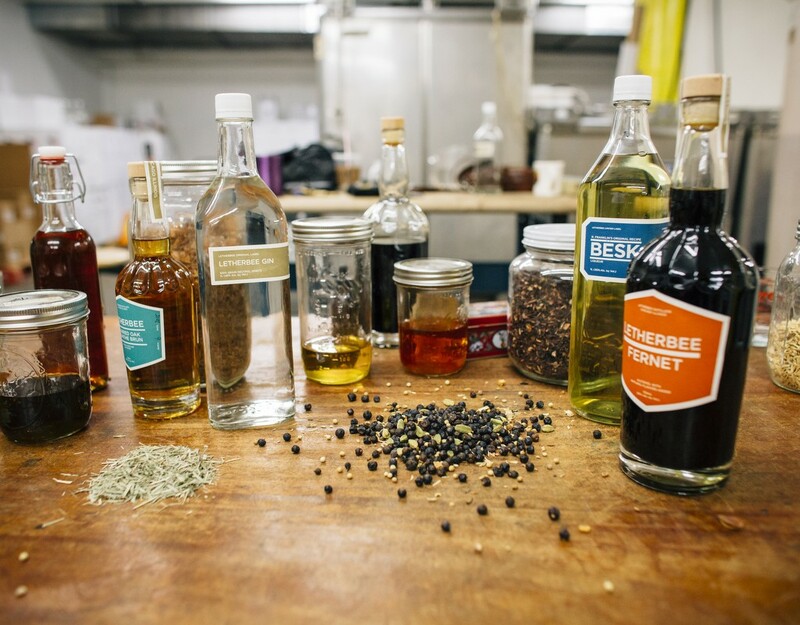 Over 20 botanicals in total are used. 70 Proof. 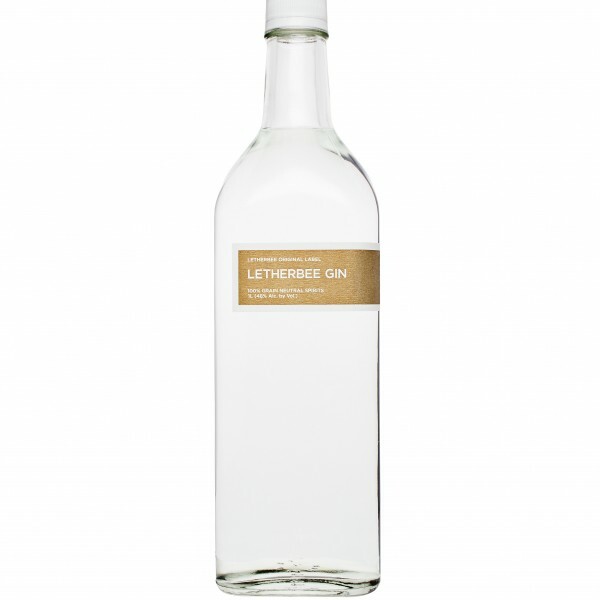 Few gins unfold like Letherbee’s flagship tipple, distilled by hand with a clean yet robust blend of 11 botanicals. 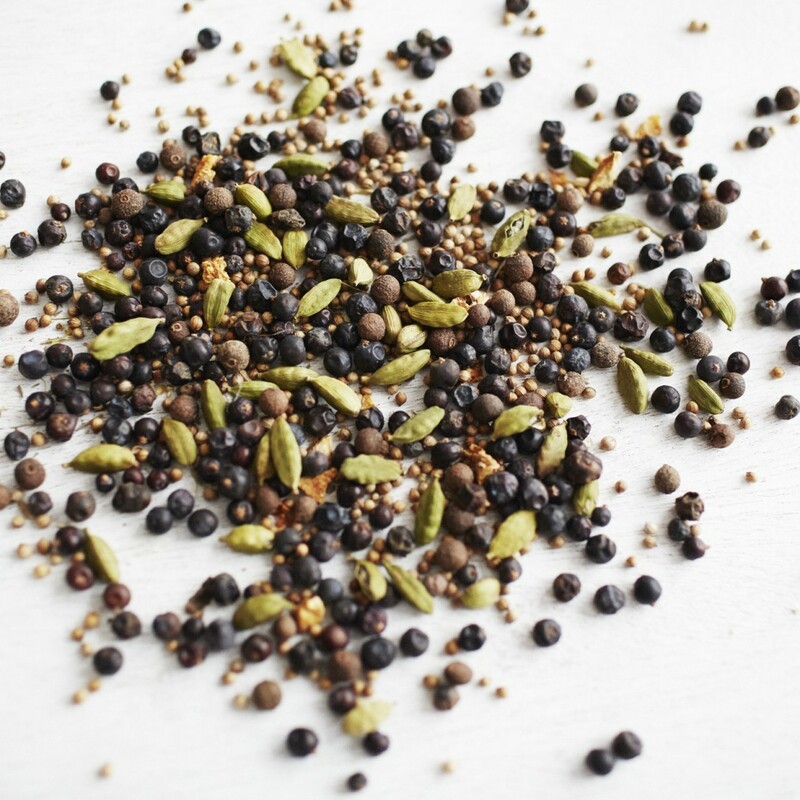 Juniper spearheads a mélange of spices, including coriander, cardamom, and cinnamon, while cubeb berries evoke a touch of pepper and a hint of ginger in the finish. 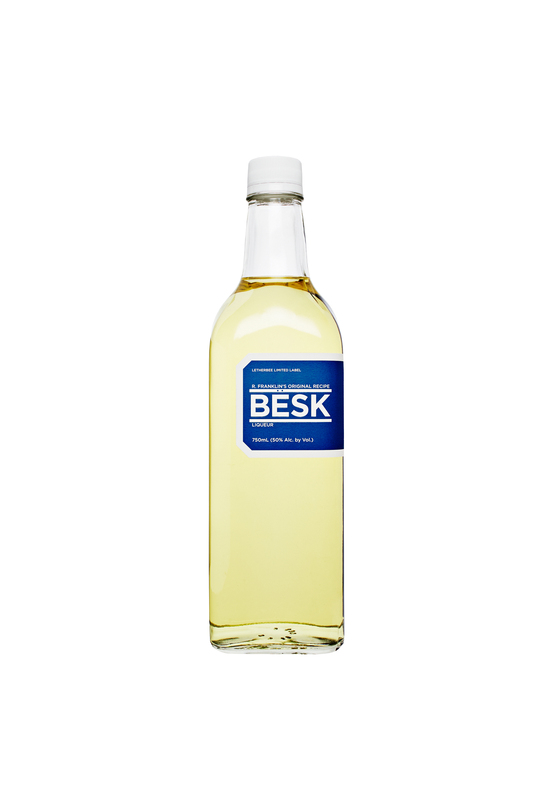 Lemon and orange peel lend the dry, balanced concoction a bit of room for keen drinkers to pick up subtle notes of licorice and almond. 96 Proof. Neutral grain base. Pot still- maceration method. 160 gallon batches. Un-chill filtered.